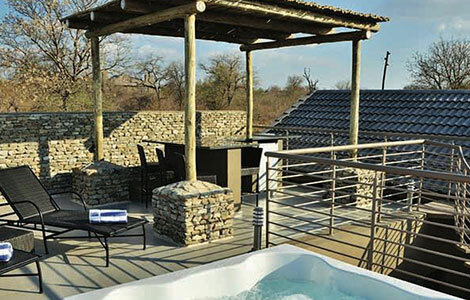 Mjejane Game Reserve Timeshare Resort (called Mjejane Bush Camp) is situated on the Crocodile River deep within the only Big 5 private game reserve to have been incorporated into the southern section of the Kruger National Park. 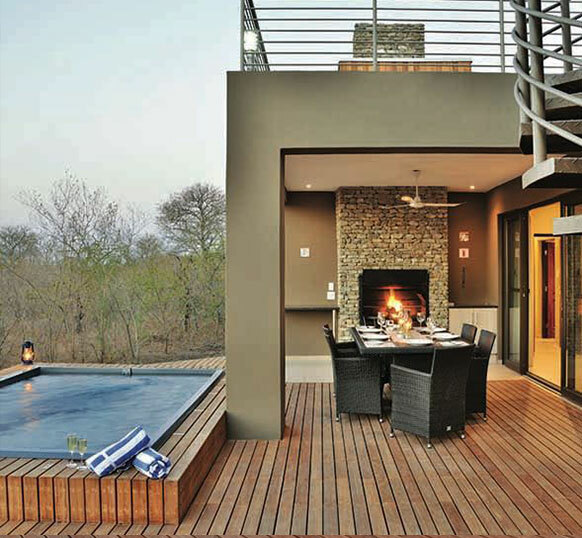 In terms of timeshare resorts in South Africa this one is unique in that the development is surrounded by Big 5 territory. 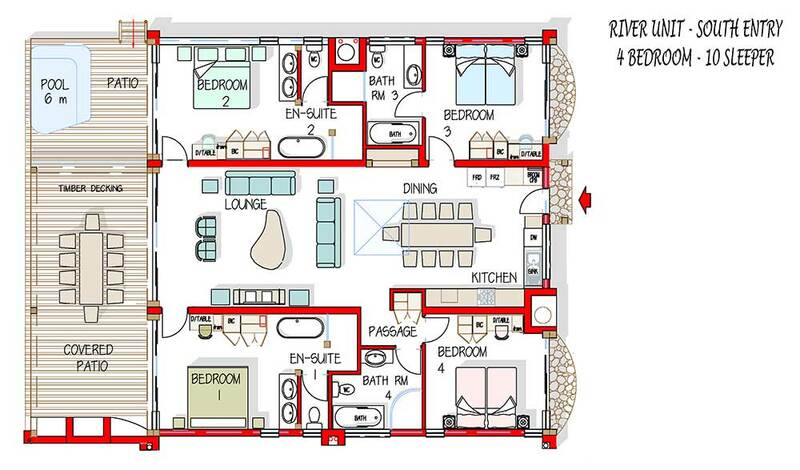 One cannot get timeshare any wilder than this. 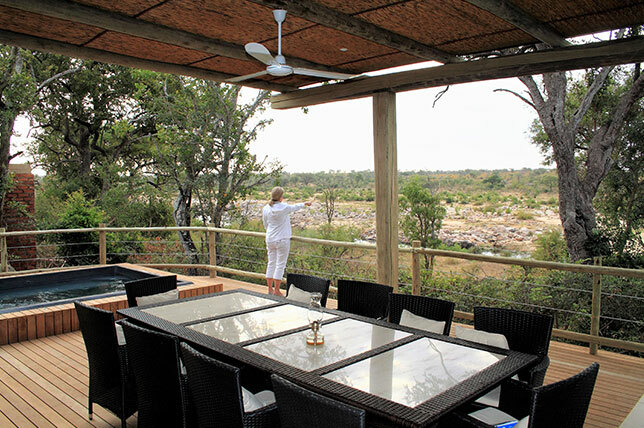 Mjejane Bush Camp is an upmarket alternative to investing in freehold title stands and is especially suited for those wishing to experience the Kruger Park in specific seasons only. 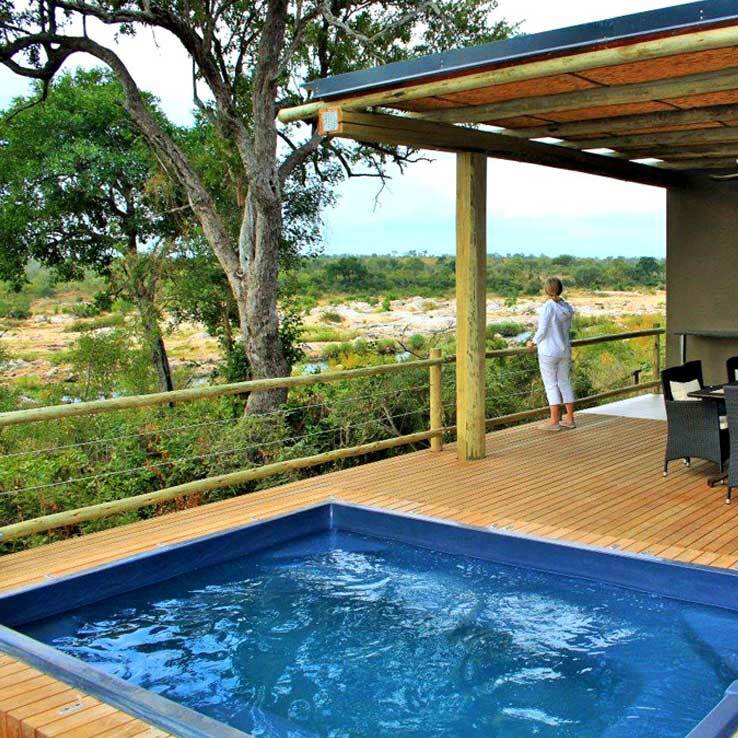 Since the launch of the Mjejane Bush Camp timeshare development some 48 months ago sales of weeks have been unprecedented and by the end of July 2016 almost 1200 weeks of timeshare totalling R112 million in value had been snapped up by Kruger Park enthusiasts making this unique development one of South Africa’s fastest selling timeshare developments. 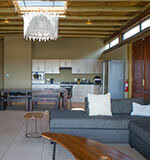 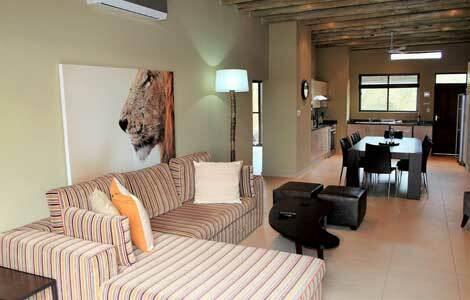 Mjejane Bush Camp is a small exclusive development meaning that the availability of units and weeks is limited. 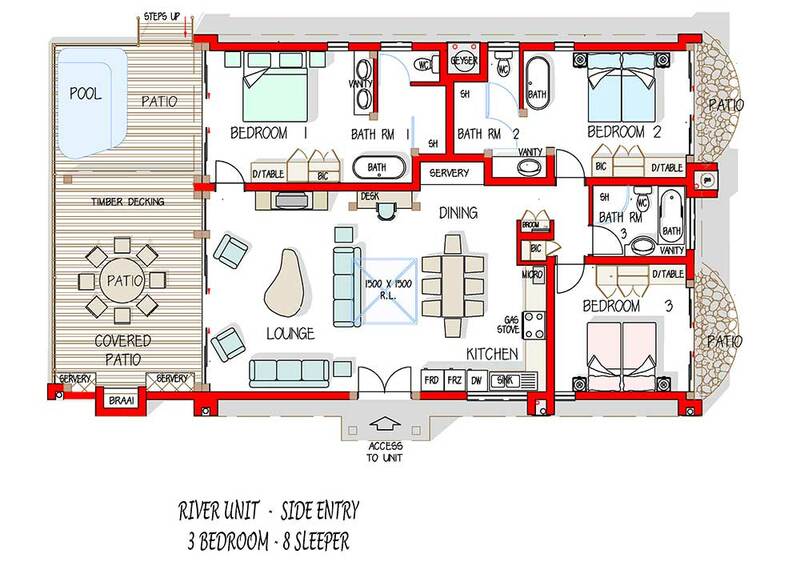 Historically each unit in the development has sold out faster than the building program and a waiting list has been created for certain units and weeks in the year. 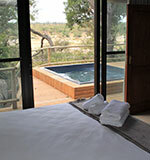 Miss out now and you could miss out forever. 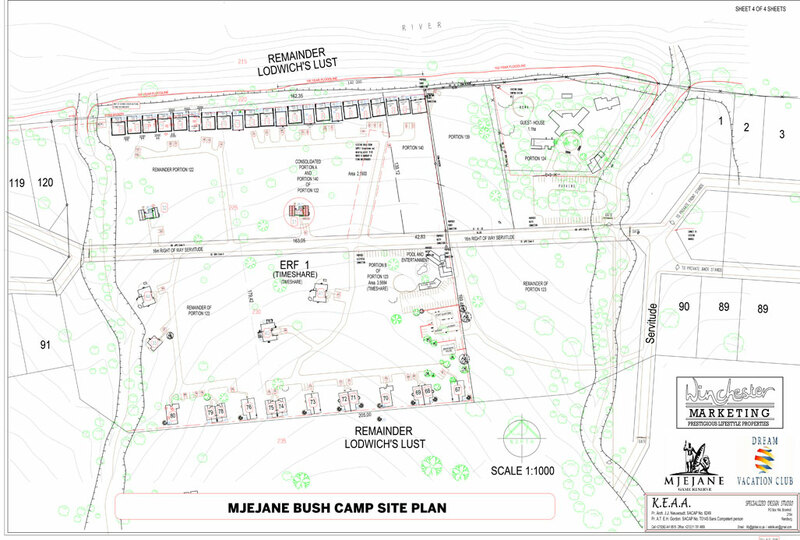 Mjejane Bush Camp is being developed by Sandton Sales (Proprietary) Limited. 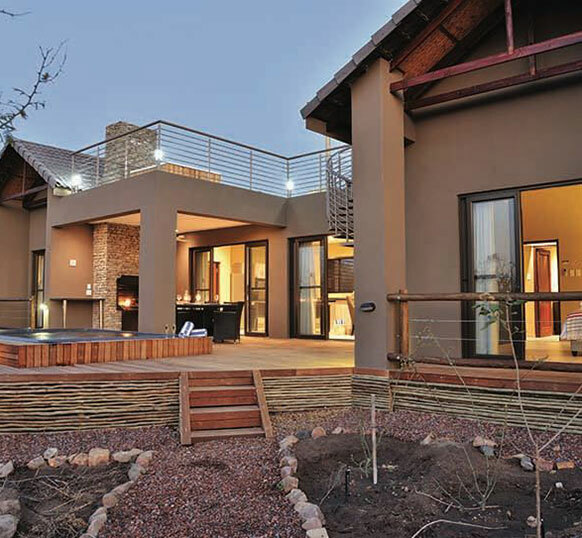 Sandton Sales enjoys an impeccable reputation established over 20 years. 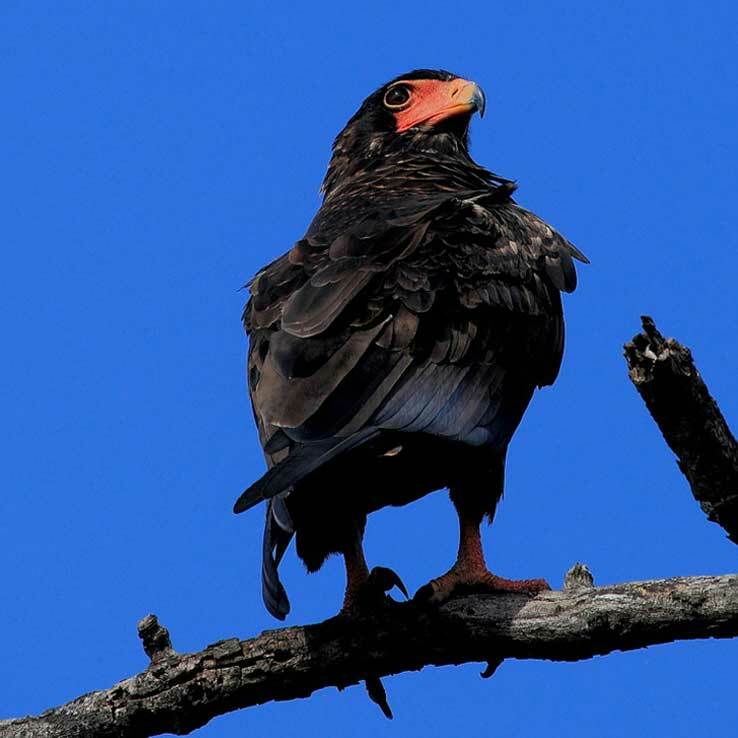 They currently manage a number of R.C.I. 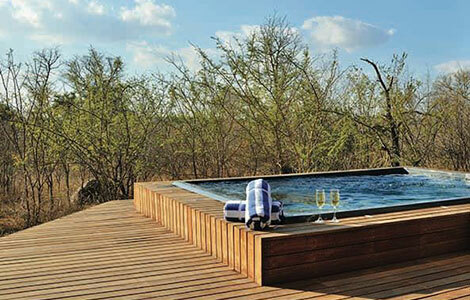 affiliated Gold Crown Resorts within Southern Africa. 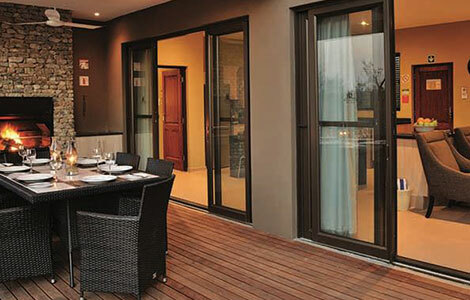 The best known resort in the portfolio is The Peninsula All Suite Hotel in Cape Town, one of South Africa’s most sought after RCI Gold Crown Resorts. 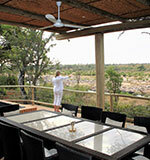 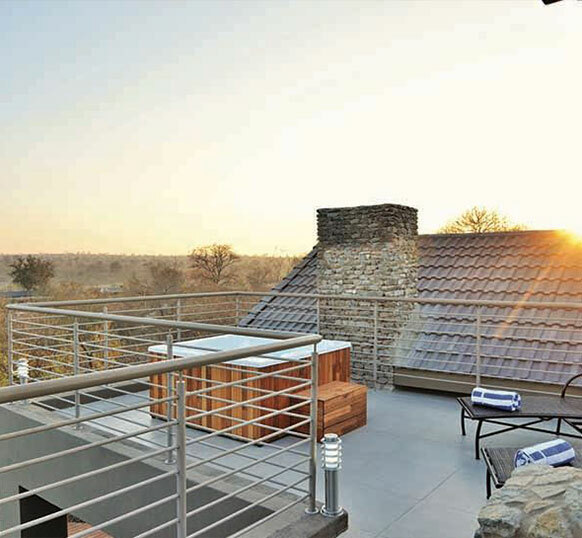 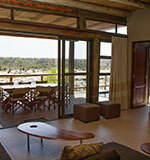 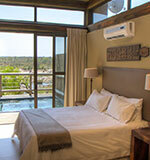 •	Fence line river front lodges with panoramic Crocodile River views. 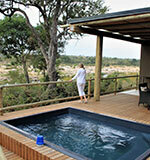 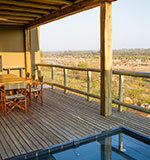 •	Fence line bush view lodges overlooking the Big 5 game reserve. 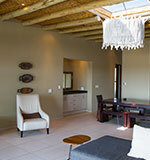 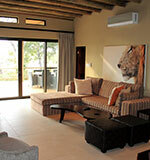 •	Secluded bush lodges within the resort area. 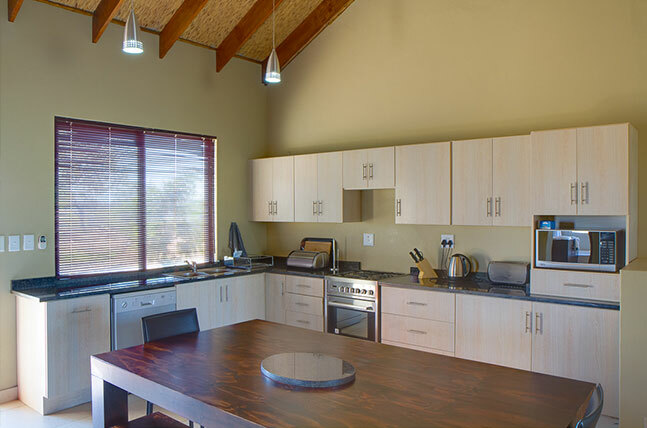 •	Various communal amenities such as game viewing hides, laundry, internet café, swimming pool, kiddies run free playground and games room. 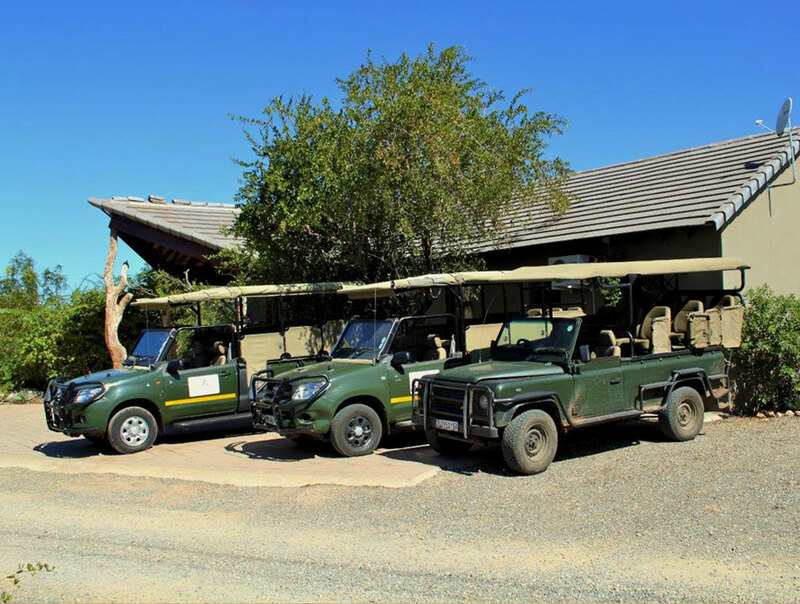 •	Dedicated Open Safari Vehicles. 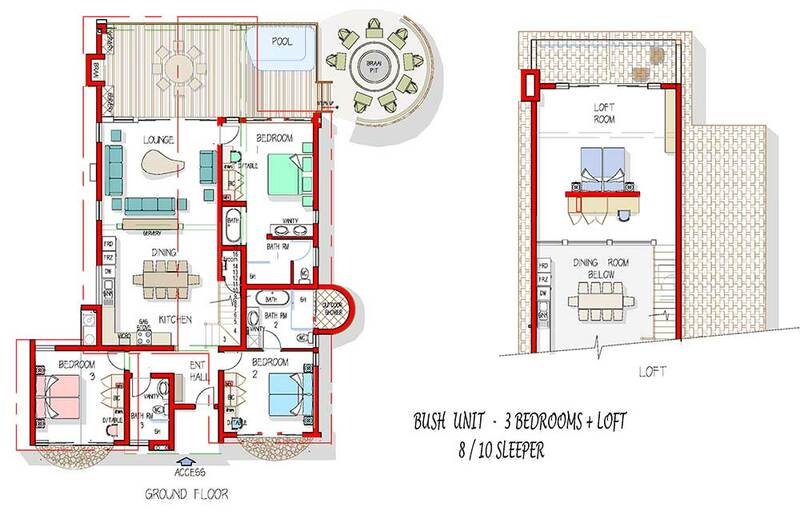 intended layout and as such may still be amended and are therefore not contractually binding. 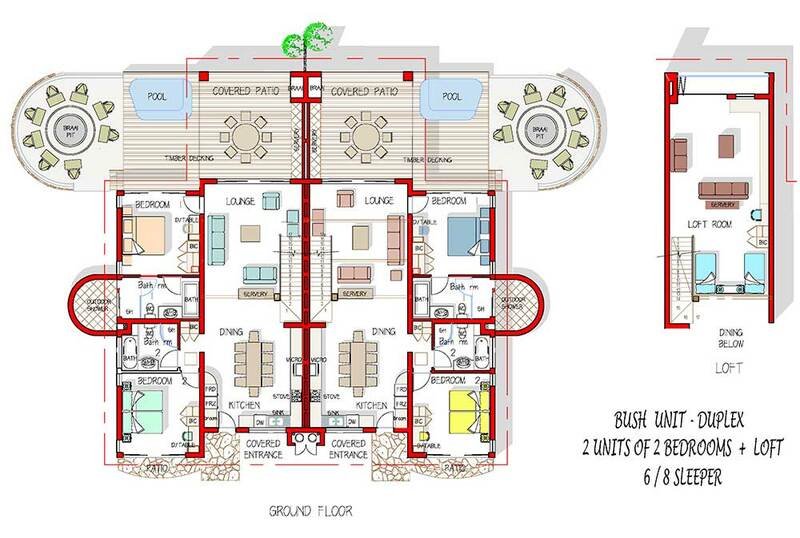 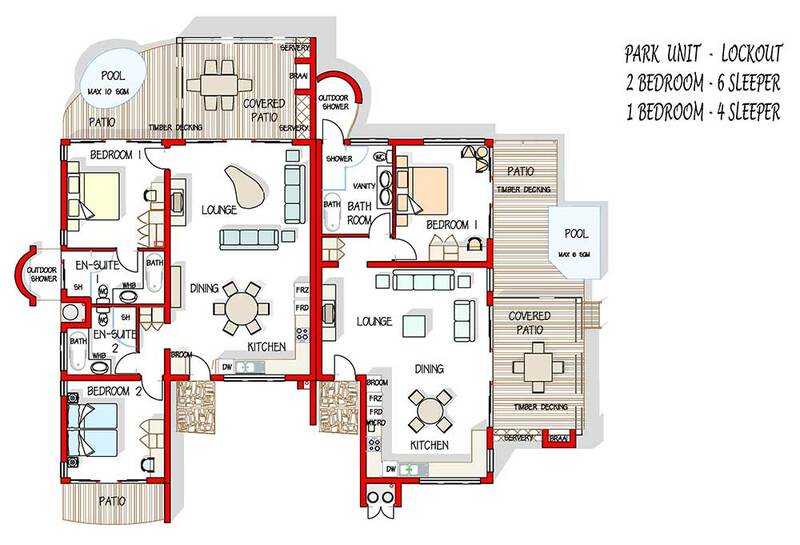 A reception complex including convenience shop, games room, laundry and staff complex. 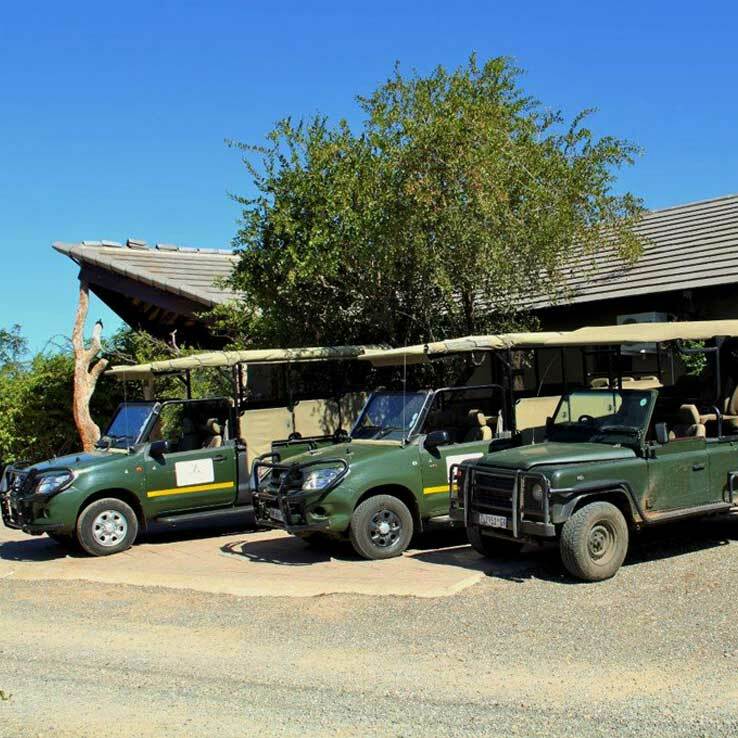 Dedicated Open Safari Vehicles for game drives in Mjejane Game Reserve and the Kruger National Park. 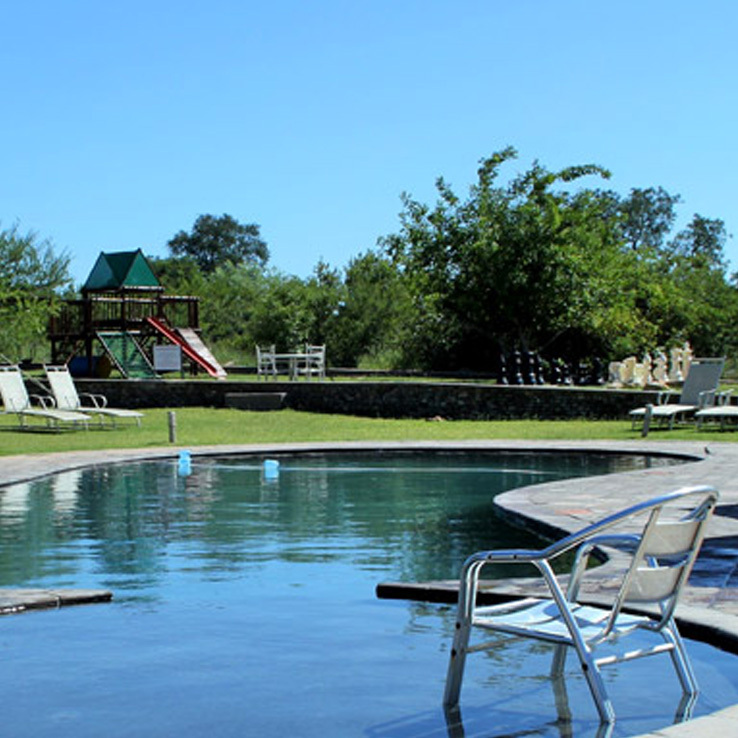 A landscaped recreation area including a swimming pool, trampolines and kiddies play area. 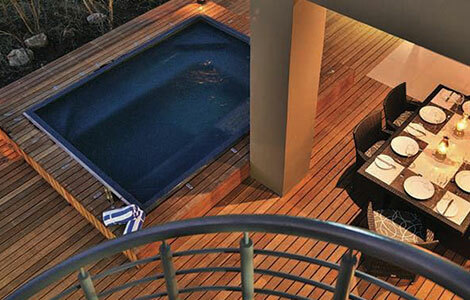 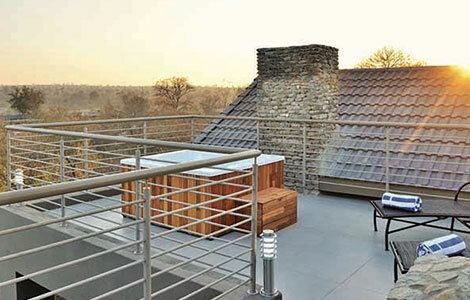 Thirty-one luxuriously appointed timeshare lodges with private plunge pools. 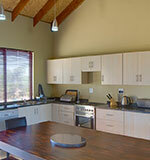 All timeshare lodges enjoy daily servicing (except on Sundays which is an optional extra). 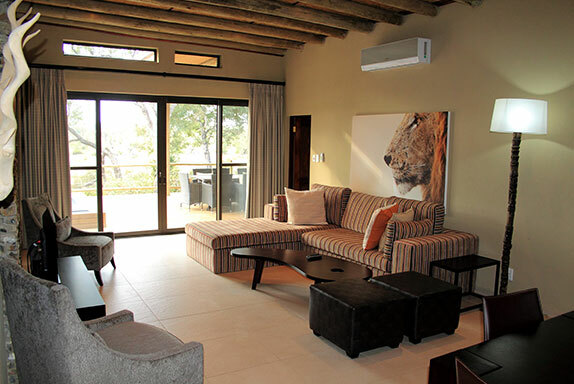 The lodges are fully equipped and air-conditioned and will ensure that your self-catering game reserve holidays are a truly “Go Wild in Style” experience. 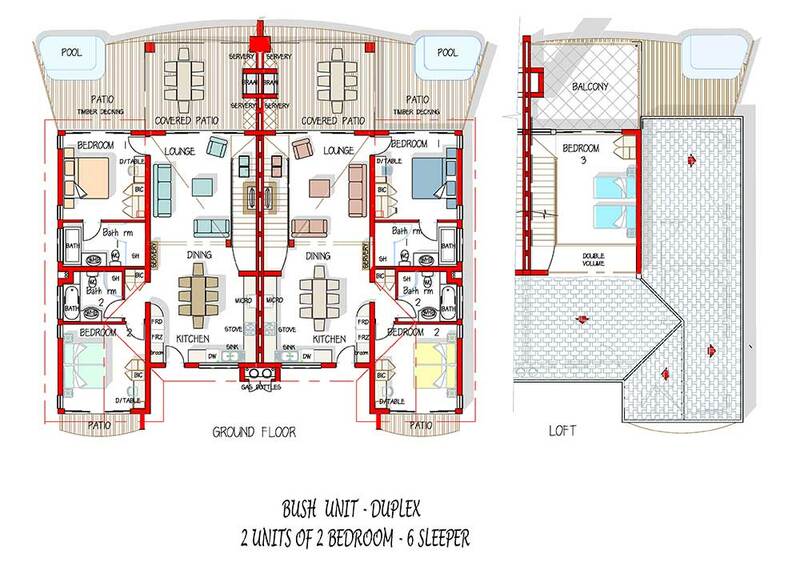 The first of the newly appointed Park Units (Lodge 31) was completed on schedule. 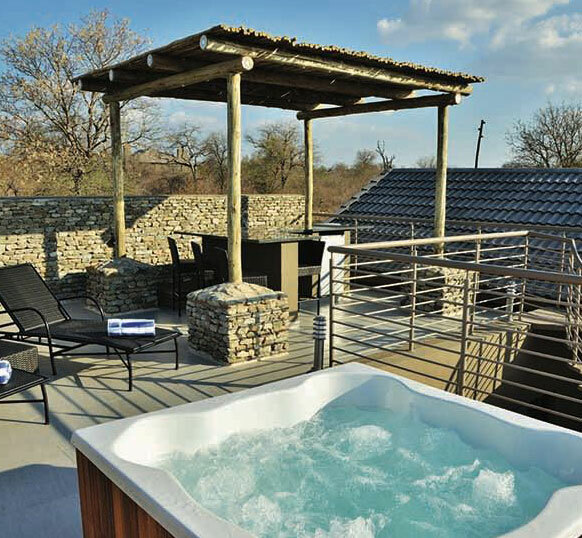 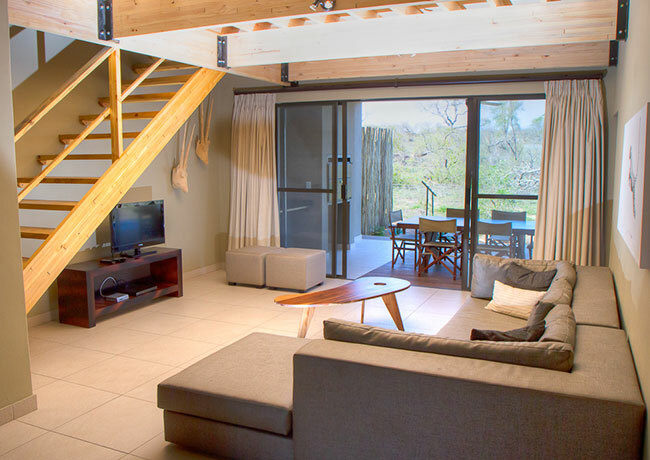 This stunning 2 bed/6 sleeper unit includes an exclusive use boma area, private plunge pool and an upstairs sundeck with a bar, Jacuzzi and fantastic views into the Kruger National Park. 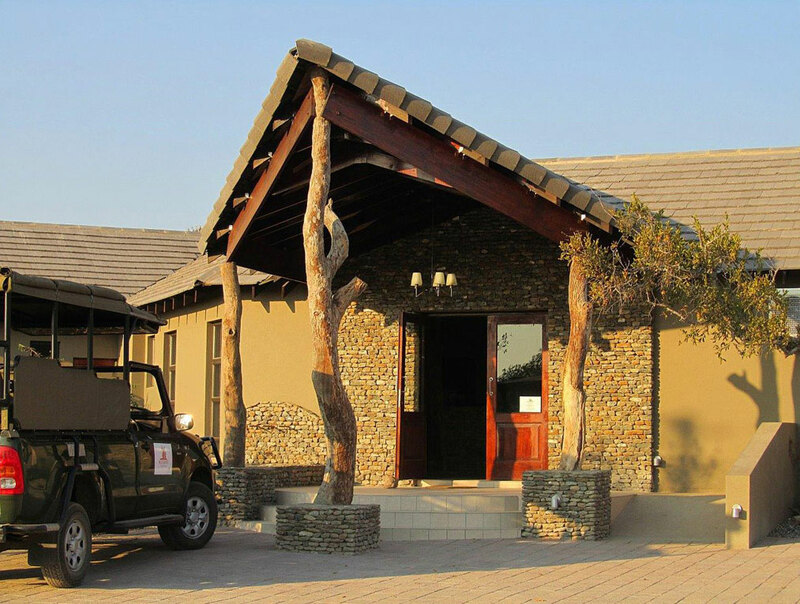 Accommodation options in Mjejane Bush Camp include fully equipped two, three and four bedroom self-catering timeshare lodges. 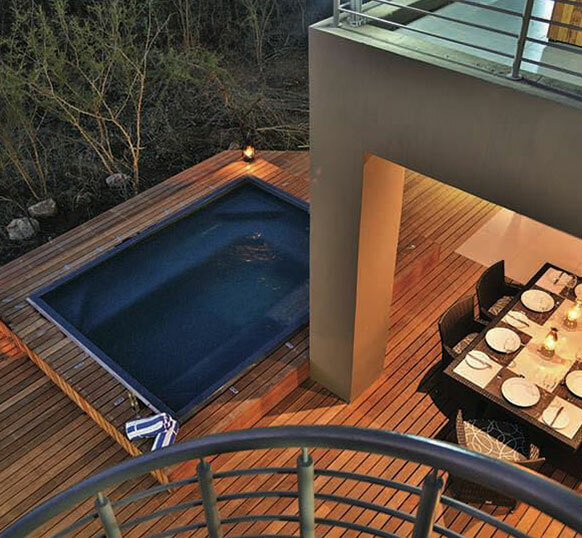 Most have private plunge pools. 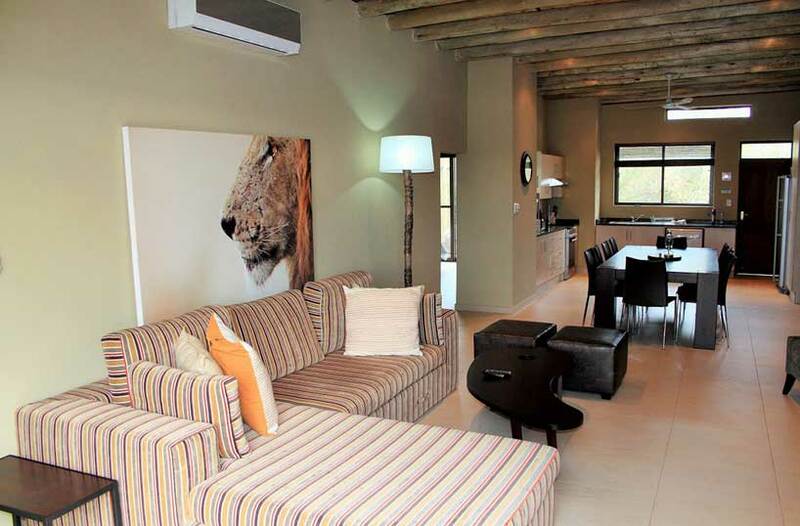 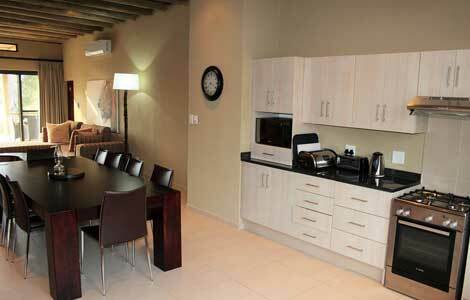 Some units are situated along the Crocodile River and offer magnificent river views. 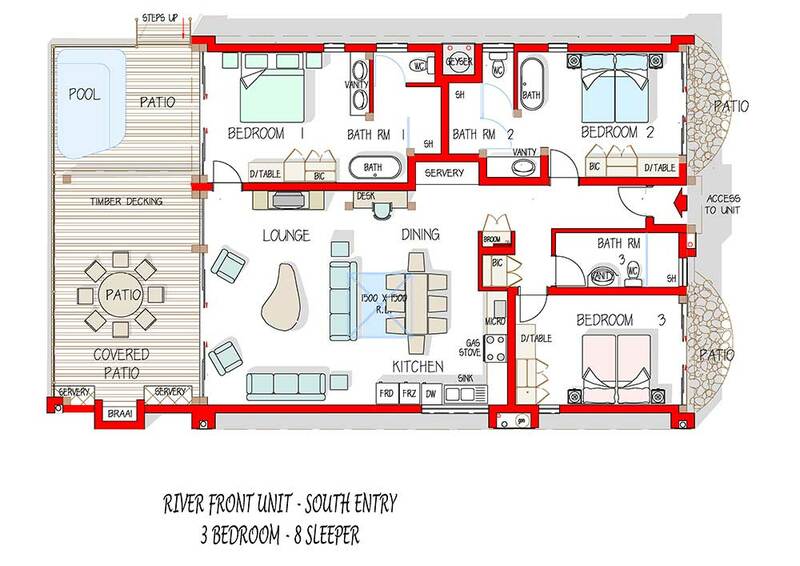 From these units you can sit back and watch game coming to and from the river. 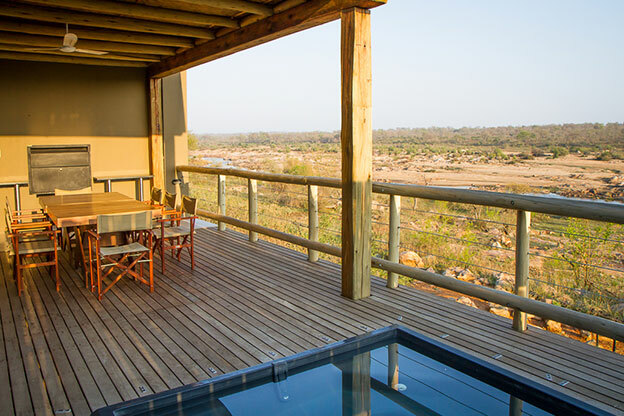 Other units overlook the Big 5 bush environment of the game reserve where anything from lion, buffalo, elephant and more may wander right past your veranda. 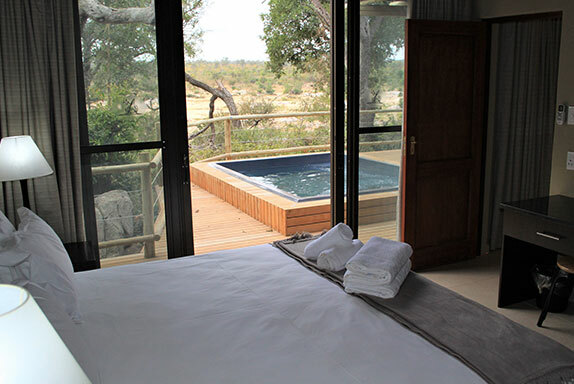 Occupants of all fence line units can view wildlife directly from their verandas and from time to time kills have been made in full view of these units. 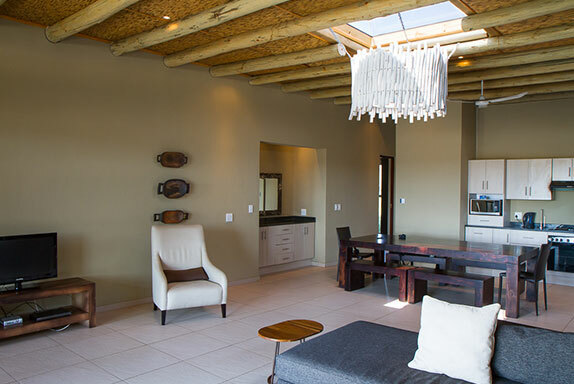 All timeshare lodges are tastefully decorated to ensure a high standard of accommodation commensurate with other resorts in the Developer's portfolio. 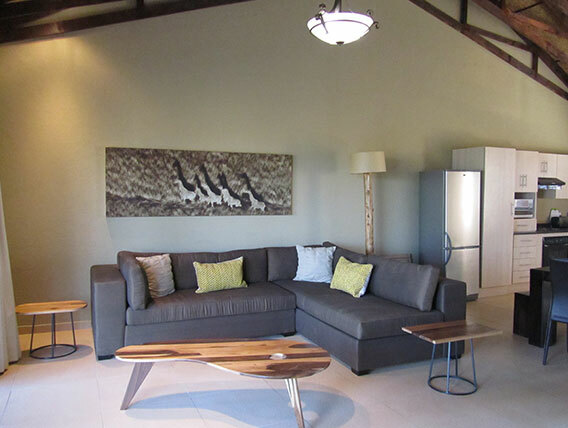 The units are serviced daily except on Sundays which is an optional extra. 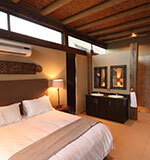 When you invest in timeshare ownership in Mjejane Bush Camp you acquire shares in a share block company. 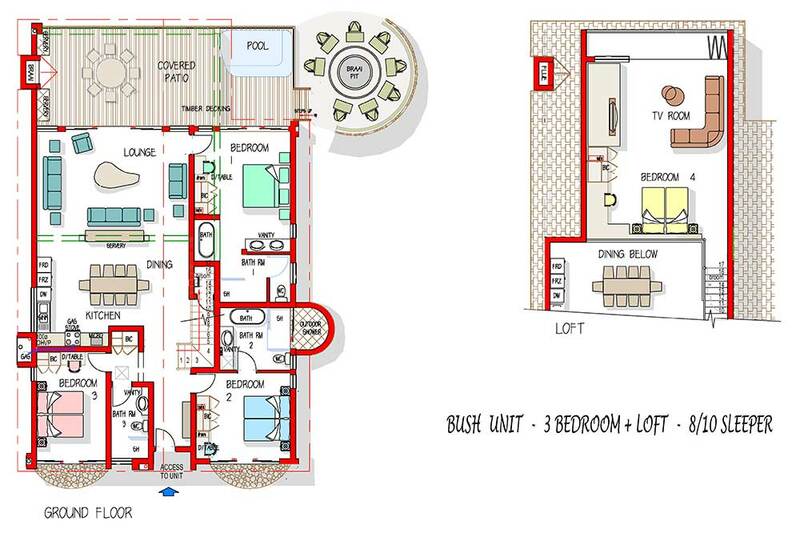 The share block scheme is situated in Erf 1 upon the remaining extent of the Farm Lodwichs Lust No 163, Registration Division J.U. 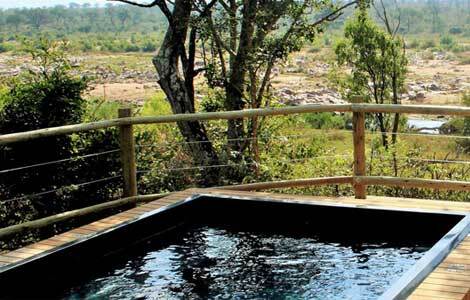 Mpumalanga South Africa known as Mjejane Game Reserve. 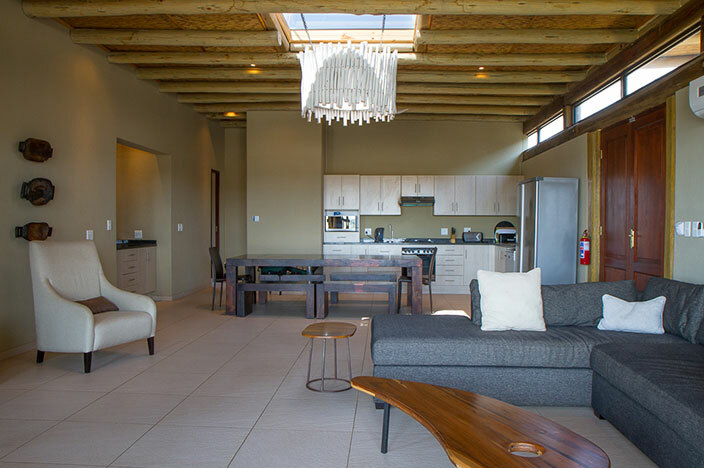 The shares you own give you an exclusive right of use to a specific lodge in the development at your preferred time/s of the year in perpetuity or for as long as you own the shares. 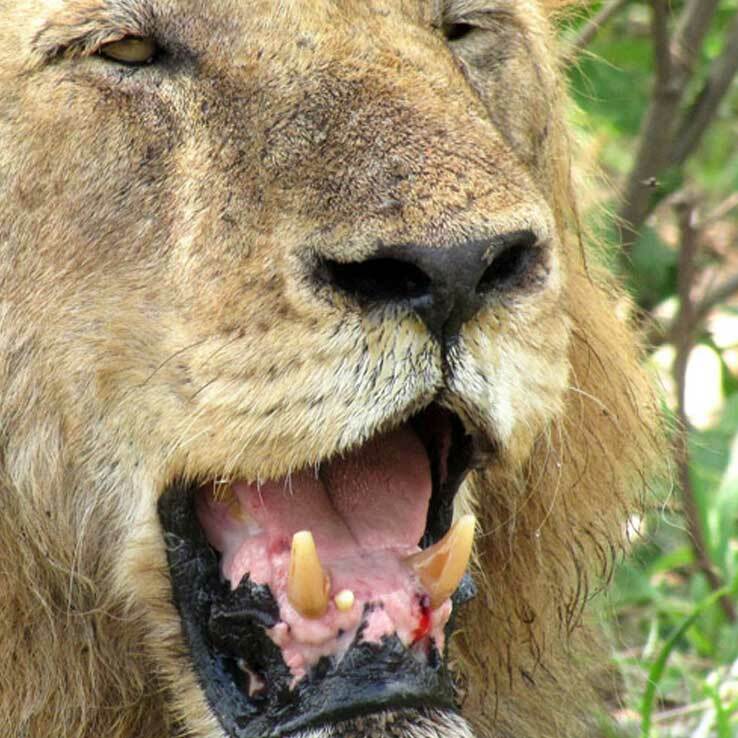 You can acquire the ownership of as many weeks as you want. 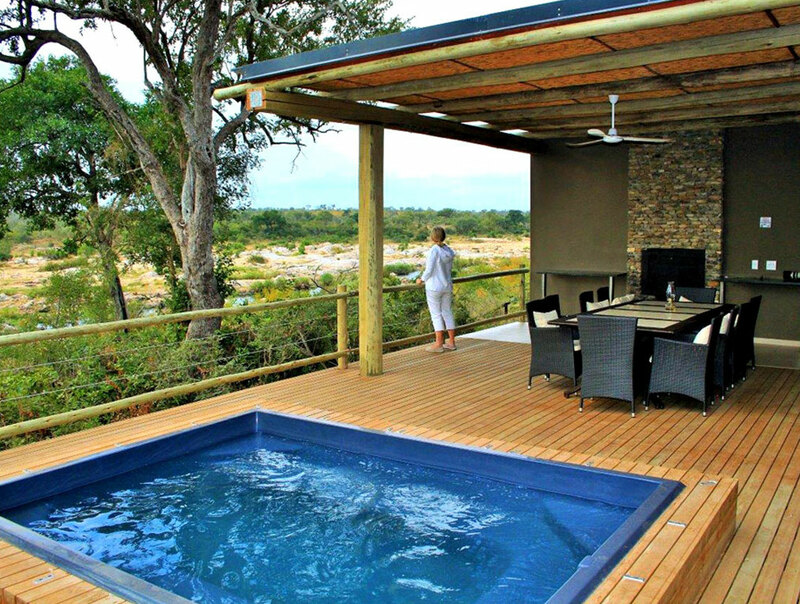 Imagine sipping sundowners on the veranda of your own timeshare lodge while watching the Kruger's Big 5 wander past on their way to the river or a bush waterhole. 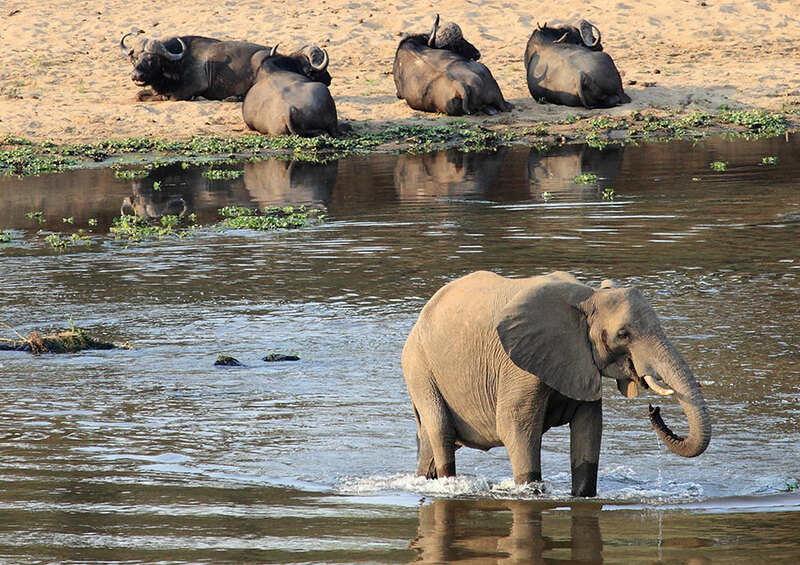 Places of water are places of life... and death. 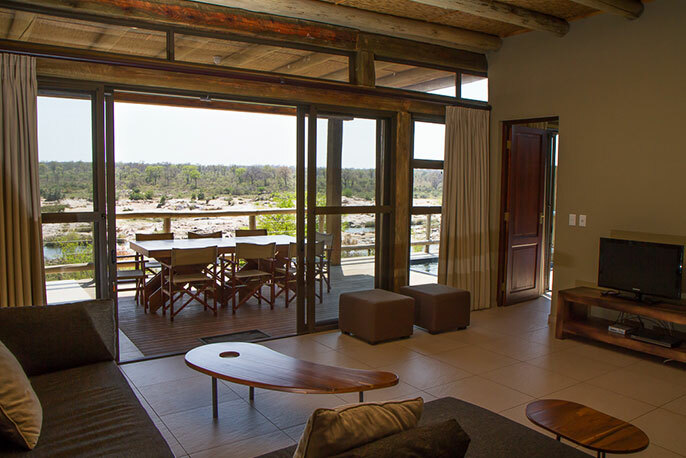 It is here, along Mjejane's 12 km of riverfront, that predatory activity abounds and you can experience it all from your own veranda, a nearby viewing hide or an open safari vehicle. 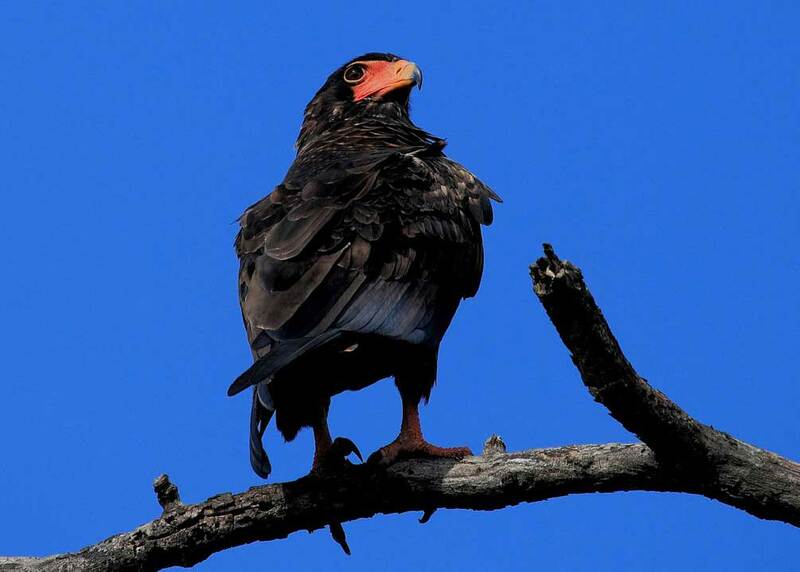 The Crocodile River region of the Kruger National Park is considered a birding hotspot with the best birding from October through to April when the migrants are down in full force and the birds are in full breeding plumage. Summertime is the wet season and the vegetation is lush and dense with many species in full bloom making it the ideal time for tree spotting. 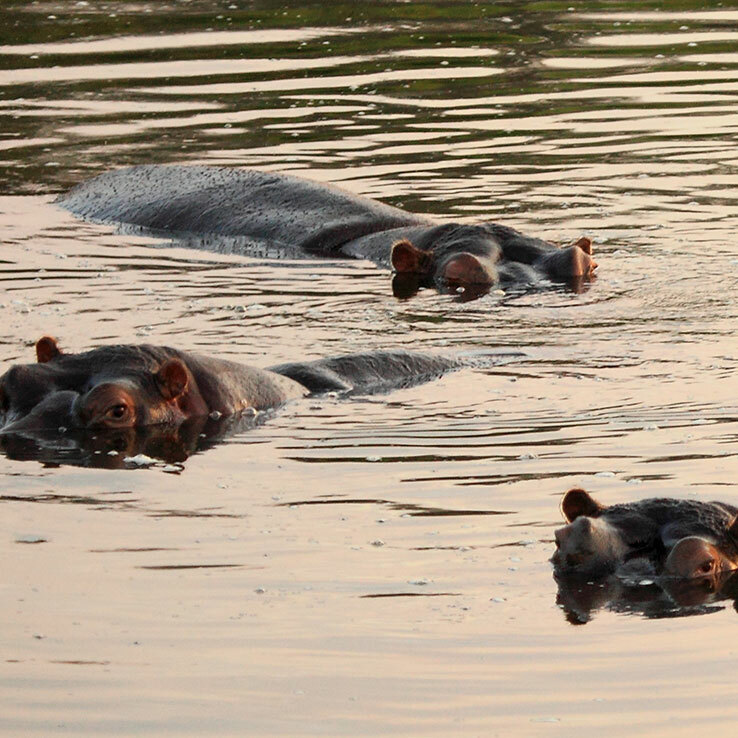 During this period pools and puddles create breeding habitats for frogs and toads. 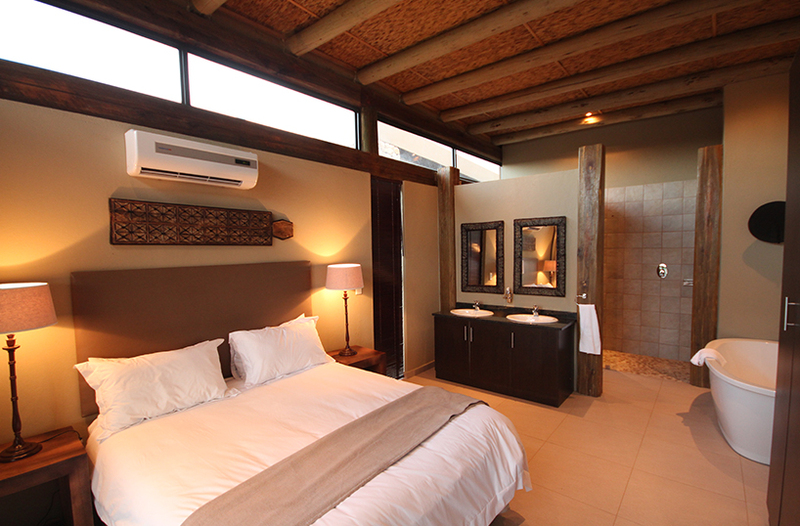 Insect activity also increases and the nocturnal choruses are rich with frog and insect calls. 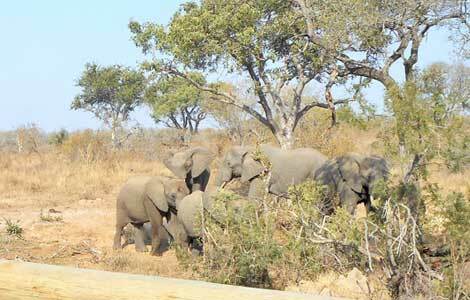 The dense summer bush can make game spotting more challenging. 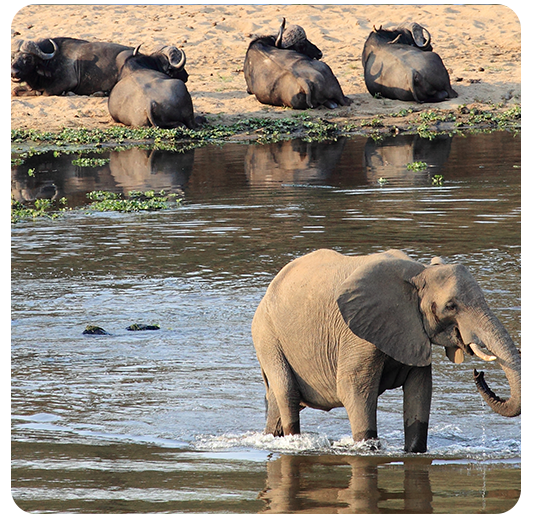 Game is also more dispersed because of the availability of freestanding water in bush wallows and pans away from the rivers. 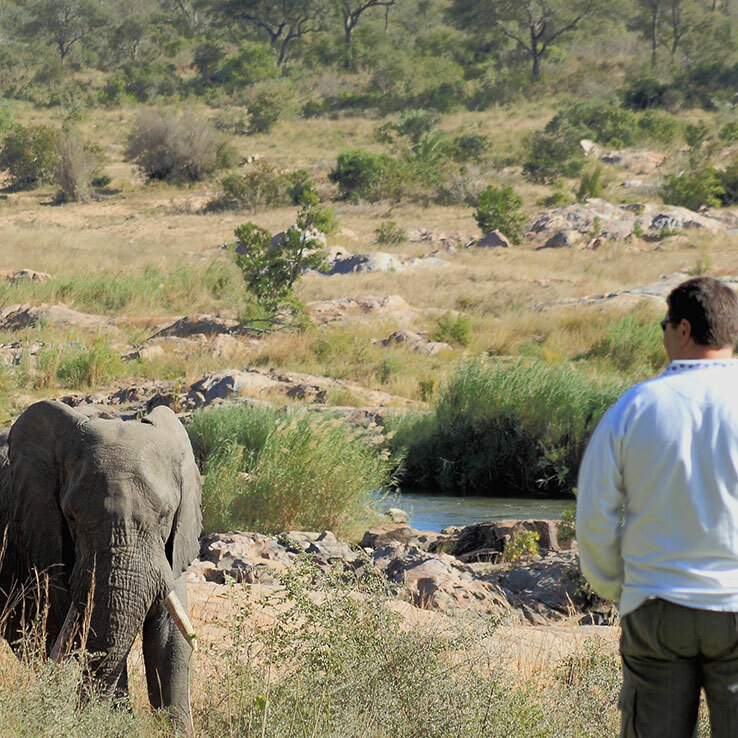 During the drier cooler winter months visibility through the largely leafless bush is much better and both herbivores and carnivores migrate towards permanent sources of water such as the Crocodile River which is not only a place of life giving water, but also a place of danger and death where kills are not uncommon. 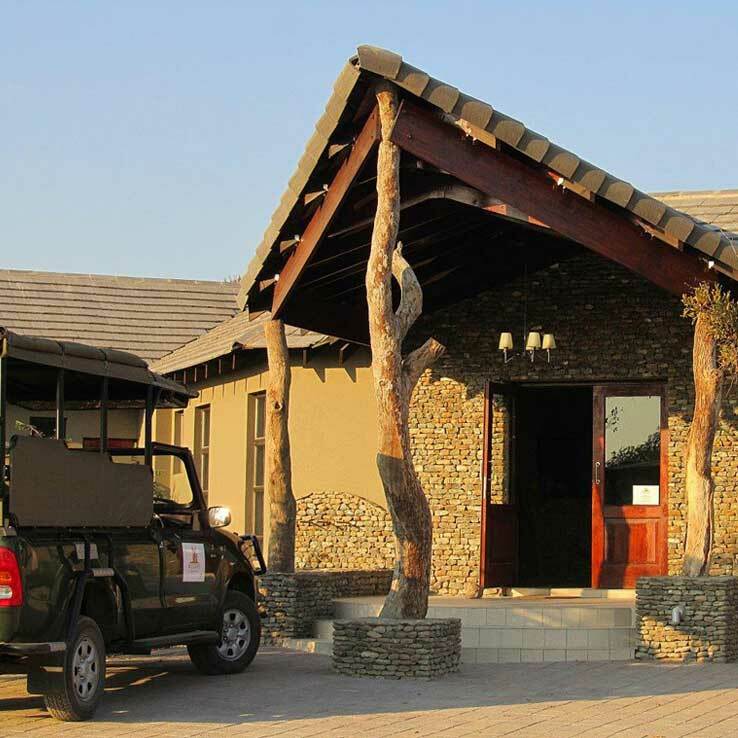 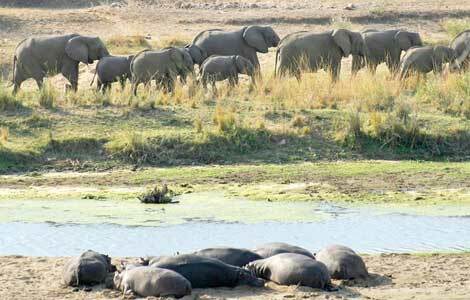 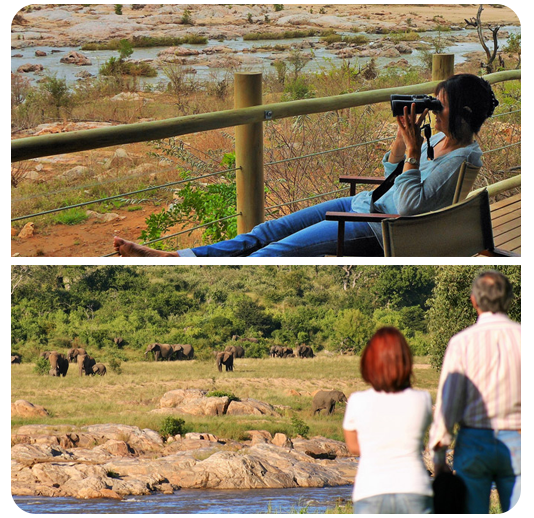 Irrespective of seasonal preference, the important point to understand is this... owning timeshare in Mjejane Game Reserve is not unlike owning it in the Kruger Park itself and here's why. 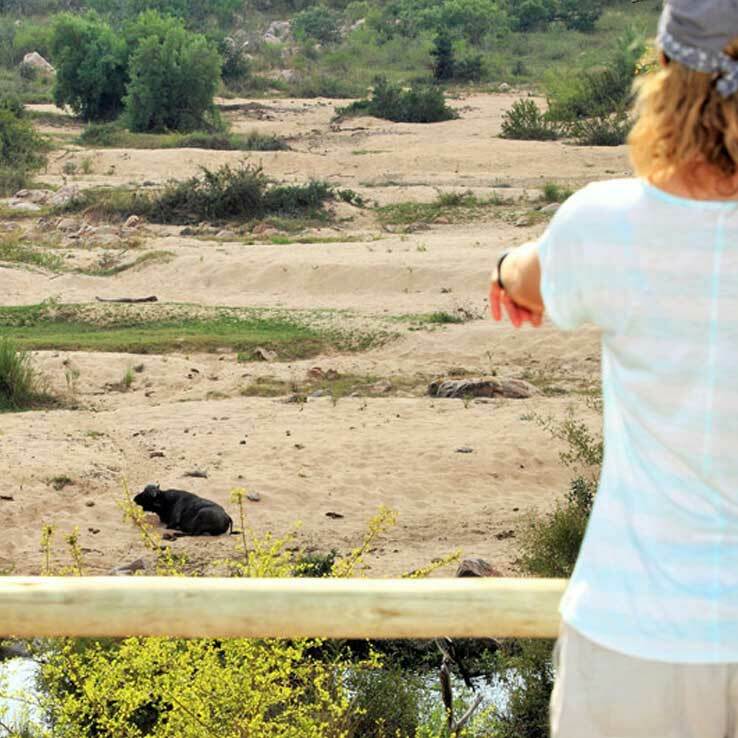 With the dropping of the Kruger fence in 2008, Mjejane not only became incorporated into the Kruger National Park's wildlife roaming area but also became subject to its conservation management policy. 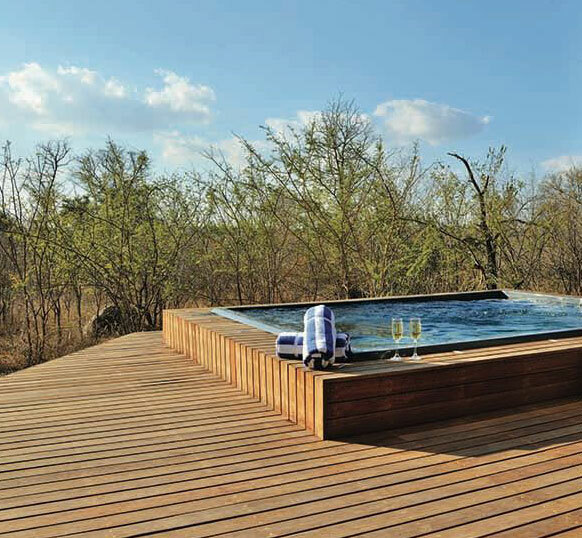 Privately owned lodges and timeshare units in this reserve are surrounded by virgin "Biyamiti" type bush which is home to the Kruger's Big 5. 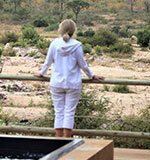 The experience is therefore authentically "Kruger". 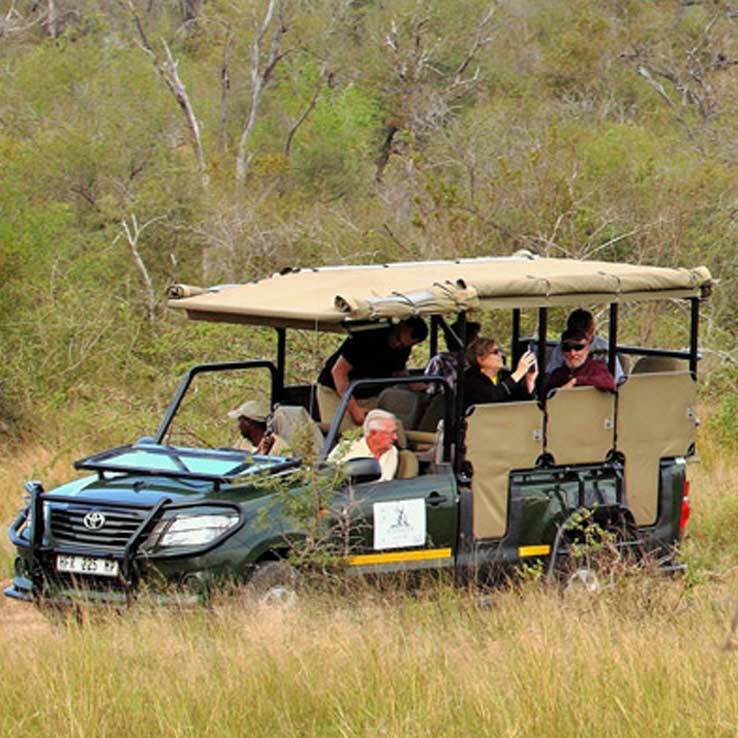 Timeshare owners enjoy open vehicle game drives in Mjejane's Big Five area with a qualified guide and also direct conditional access into the Kruger National Park via Mjejane's private low level bridge across the Crocodile River. 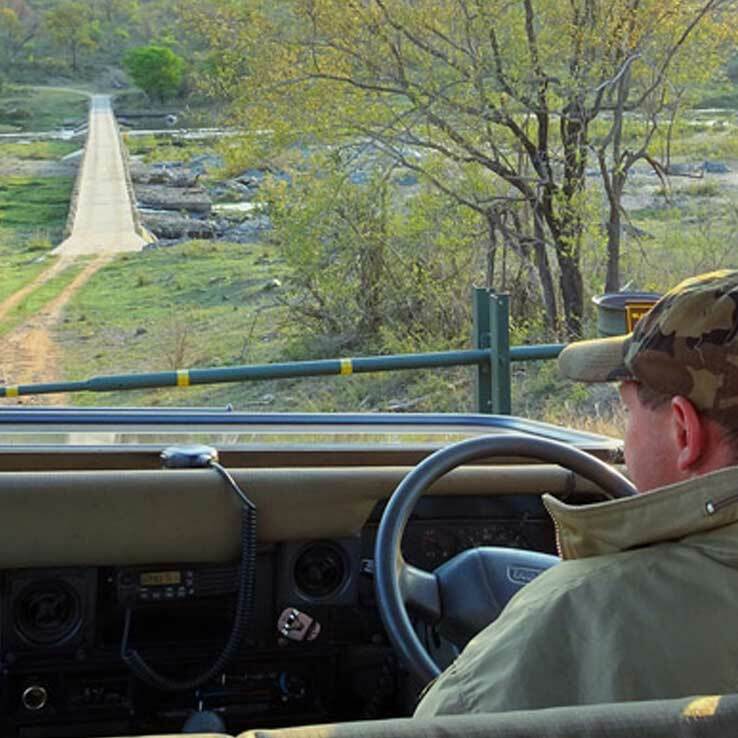 This bridge is a unique feature in the history of the Kruger and for this reason alone there is no other wildlife property anywhere around the Kruger National Park quite like Mjejane Game Reserve. 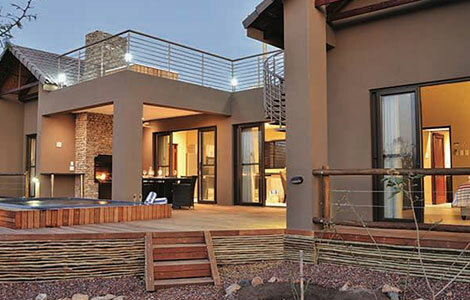 For these reasons investment interest in Mjejane has been unusually high. 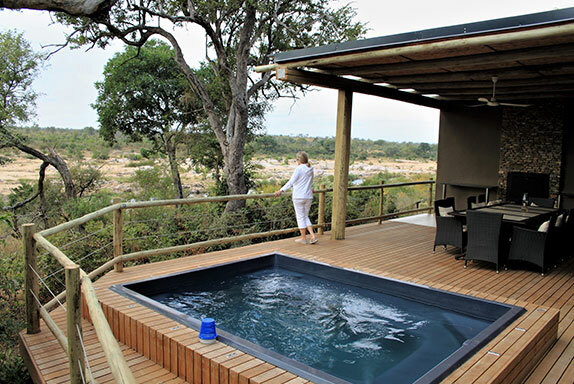 While Mjejane Game Reserve offers an exceptional wildlife experience there is a whole lot more to a Mjejane bush holiday than the Big 5 alone. 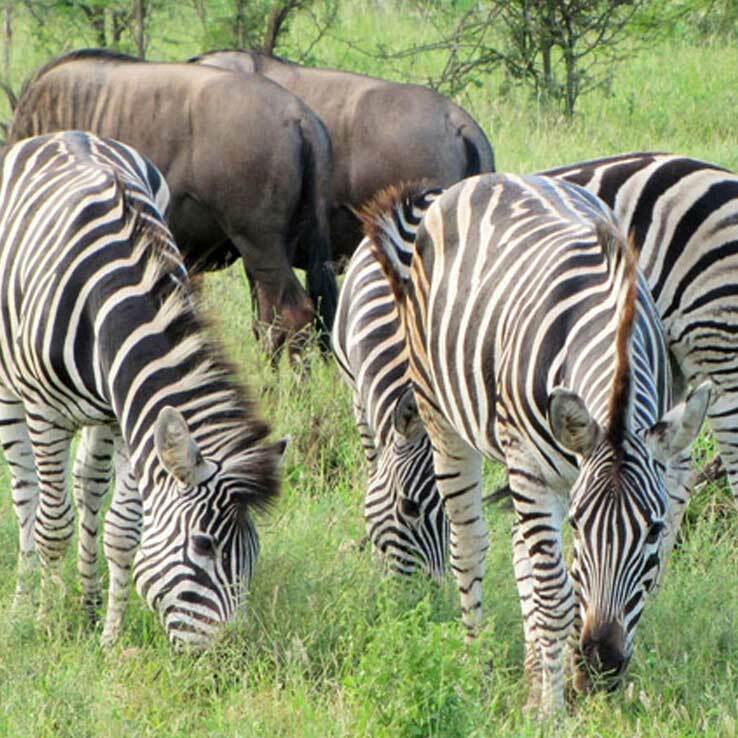 The reserve has a wilderness area stocked with non-dangerous game such as zebra, impala, giraffe and wildebeest to mention a few. 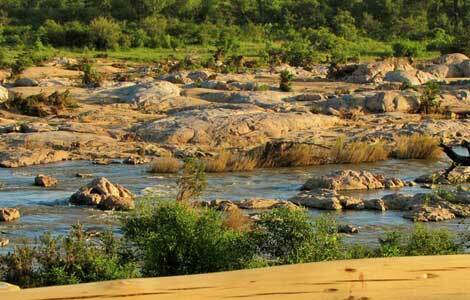 This area has been set aside for safe walking, jogging, horse riding and mountain biking. 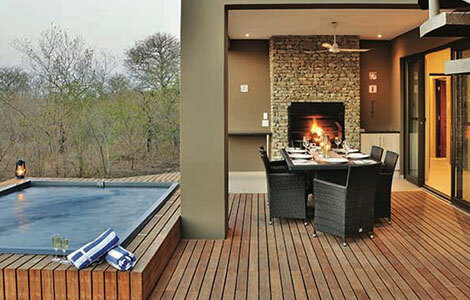 Holidaying at Mjejane is also about playing golf on some of the most interesting wildlife courses in the world - such as the legendary Leopard Creek course at Malelane, the beautiful Kambaku course at the confluence of the Komati and Crocodile Rivers in Komatipoort and the course at Skukuza in the Kruger National Park where some obstacles have teeth! 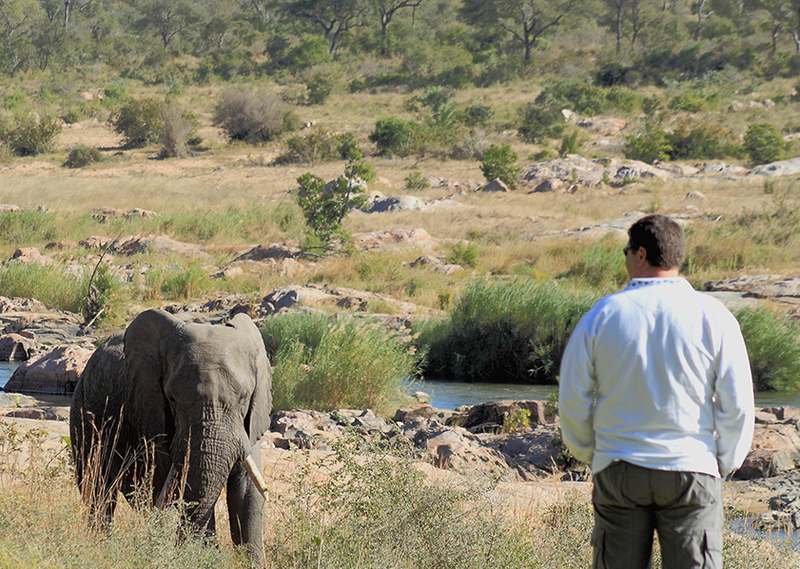 Golf aside there are dozens of other nearby activities and attractions such as tiger fishing the crocodile infested waters of the Komati River, scenic microlight flights over the bushveld and elephant interactions. 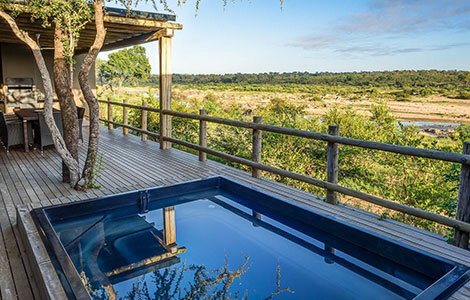 A visit to neighbouring Mozambique and Swaziland, not more than 40 minutes drive from Mjejane, will give a taste of life in other cultures of this geographic region. 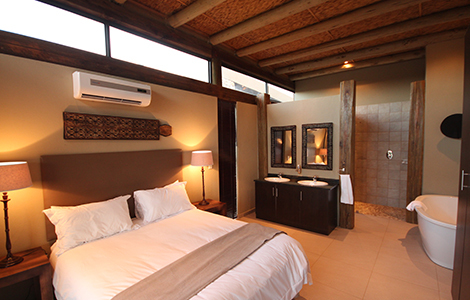 When you own timeshare at Mjejane you are not necessarily limited to going back year after year should you feel like a change sometime. 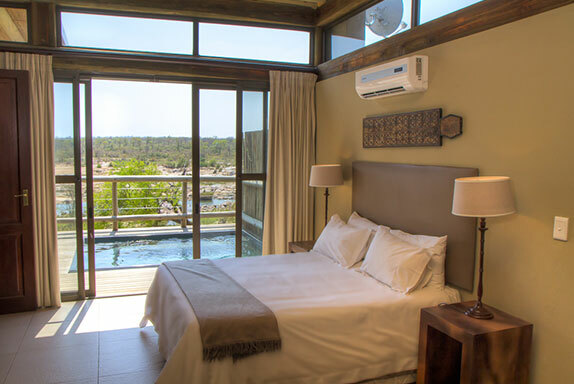 Did you know that timeshare owners worldwide routinely cite the opportunity to arrange holiday exchanges as a key influence on their purchase decision. Mjejane Game Reserve timeshare lodges are affiliated to Interval International, a leading global vacation exchange organisation. 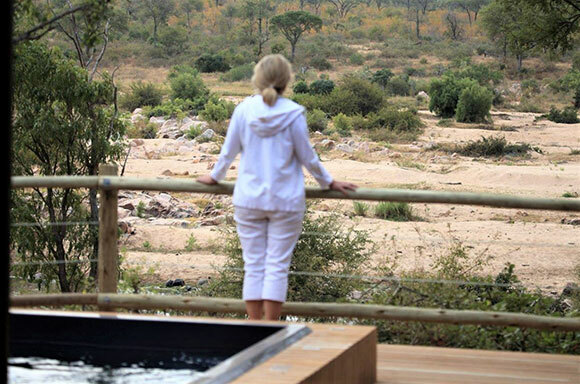 Over a period of 30 years, Interval International has established an unparalleled network of quality resorts of all kinds in the world's most desirable holiday destinations. 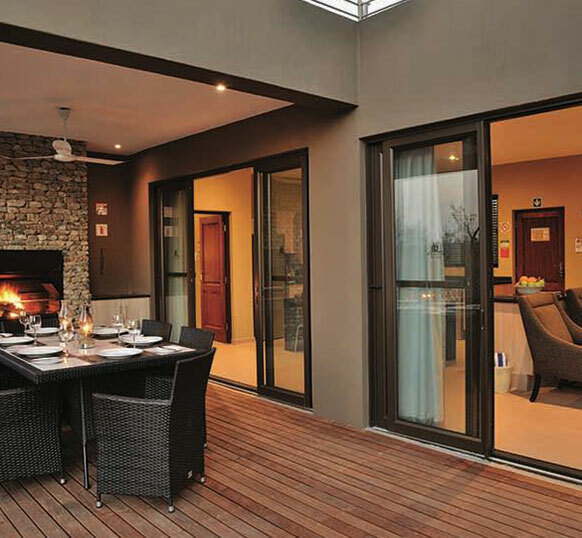 Interval International's easy-to-use exchange system offers flexibility and unique home unit security to boost owner satisfaction. 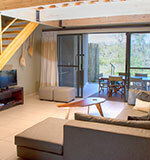 Members can also receive savings on flights, car hire, travel insurance, cruises and more through Interval Travel. 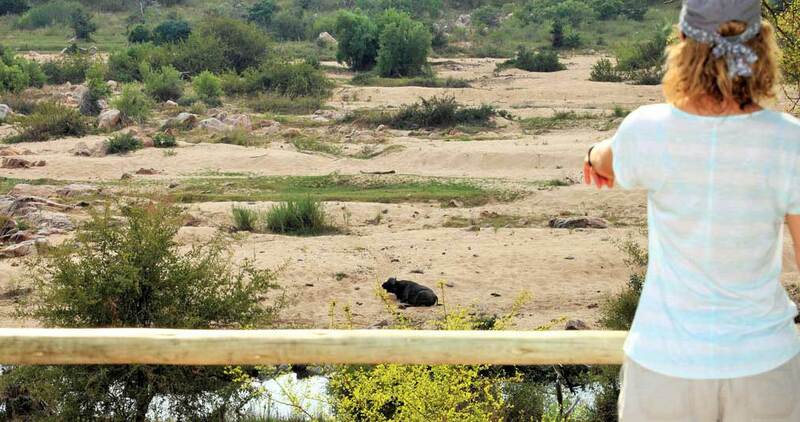 They are kept abreast through the Interval World magazine. 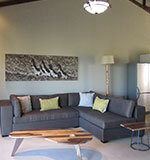 For further details on Interval International visit IntervalWorld or chat to one of our consultants.